Even if you aren't a skier, ski vacations are the best. 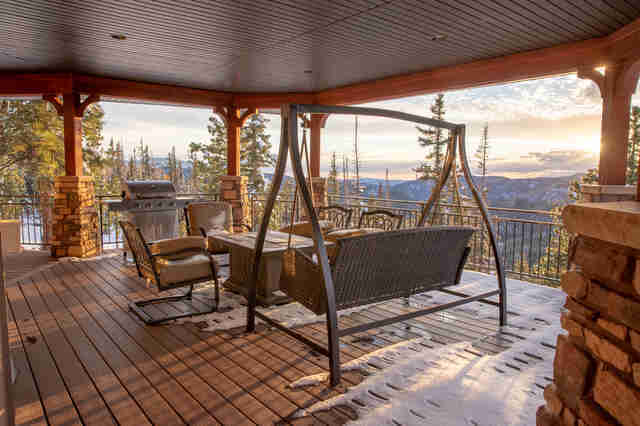 Who doesn't love throwing back beers in a slope-side lodge and lounging in a hot tub surrounded by snow? The only problem is, tons of other people also think they're the best, and that means you're almost always going to be fighting the crowds. That is, unless you have your own private mountain. And this winter, you might. 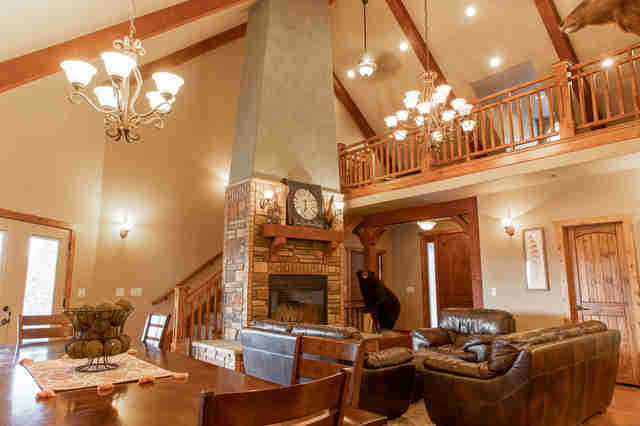 A vacation rental company is giving away an entire ski resort in Utah for the day to one lucky winner and 19 of their closest friends, who'll also get to stay for free in a massive, luxurious cabin nearby. This wildly extravagant getaway was cooked up by the folks at the vacation home rental service VRBO, who've fittingly deemed this the Win The Mountain Sweepstakes, since whoever wins will quite literally get the entire Eagle Point Resort in Beaver, Utah to themselves for a day. The perks don't end there, though. The winner (and whoever they decide to invite with them) will also be treated to private ski lessons, a $5,000 travel stipend, and a three-night stay in a sprawling mountainside cabin with enough room to sleep up to 25 people. Eagle Point Resort, which boasts 650 lift-served skiable acres and sees an average of 400 inches of snow every year, features 40 named runs and a terrain park, all of which you'd get to call your own for one magical day in the thick of ski season on February 19, 2019. In terms of accommodations, you'll get to stay in one of VRBO's huge properties near the mountain, with a wraparound porch (and a hot tub!) overlooking the wildly scenic surrounding area. It also comes with its own game room, complete with foosball and a pool/ping pong table. The only expenses you'll have to worry about are the ones involved in getting there (though that $5,000 stipend should go pretty far), as well as meals and whatever incidentals you rack up along the way. To enter, all you have to do is fill out an online form, and you can submit up to 30 entries before the sweepstakes ends on November 17. As for qualifications, the only one is that you be at least 18 years-old. And even if you don't win, there's a silver lining: this year there are likely to be plenty of crazy-good ski trip deals up for grabs.